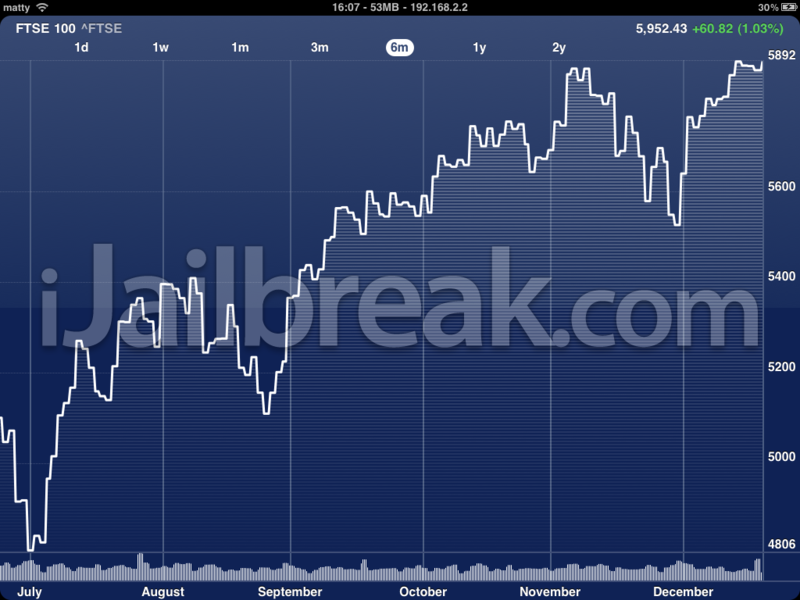 With the release of JailbreakMe 3.0 came the ability to Jailbreak the iPad 2G. With over 1,000,000 iDevices being Jailbroken since the release of JailbreakMe 3.0, and most likely a good chunk of them being iPad 2G’s we decided to put together a list of some essential tweaks for your iPad 2G or 1G for that matter. If you have been in the Jailbreaking scene for some time you most likely would of heard of most of these tweaks, however, there may be a few that may impress you. What do we mean when we say the “Infini” Lineup? Well mean mean the InfiniDock, InfiniFolders and InfiniBoard tweaks of course. While one might not be so keen to install all of these “Infini” Tweaks I suggest at least installing InfiniDock and InfiniFolders. Confused on what these tweaks do? Well each “Infini” tweak allows you to have unlimited icons in the area they specify. 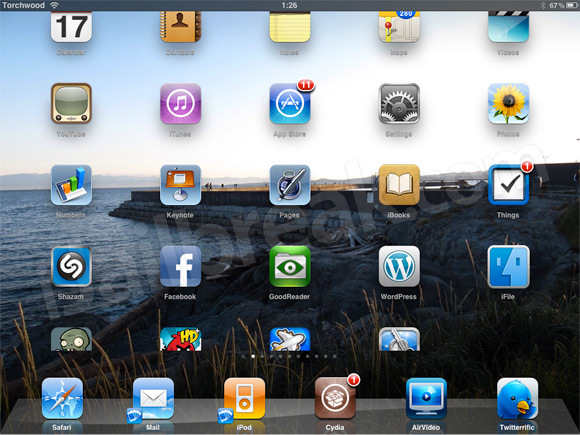 Many Applications are not yet compatible for the iPad’s giant display. This is why two tweaks have been created to reduce the likelihood of running into this problem. These tweaks are RetinaPad and Fullforce. While RetinaPad tries to enable Retina Display on Applications that support it for the iPad, Fullforce will try and force applications to go into fullscreen mode. This tweak was developed by two well-known developers – Chpwn and P0sixninja. 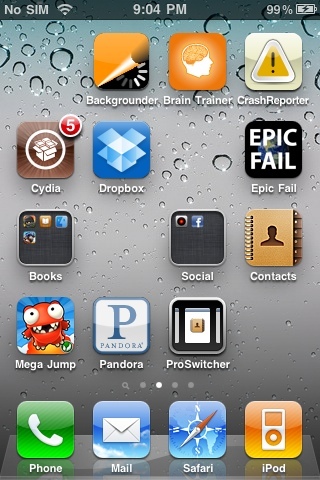 The Gridlock tweak allows you to make your springboard like a computer in the fact that you can arrange your icons however you like. While there are numerous tweaks you can install through Cydia that will tweak how your iPad functions or looks. Springtomize is the most complete tweak that combines over 50 Cydia tweaks into one. You really can customize every aspect of your iPad with Springtomize. With the iPad’s large display why not take advantage of your lockscreen by adding some extra functionality? With LockInfo you can customize your Lockscreen to your liking by adding notifications, RSS feeds, weather or shortcuts directly on your lockscreen. A few weeks ago I wrote an in-depth article featuring two tweaks that can automate your WiFi connection process when you are out-and-about. These two tweaks are AW-Open and WiFi Booster. Believe me when I say the results are pretty astonishing. Not many people know about the Aw-Open tweak and I suggest you check out my previous article on why you should be taking advantage of these two tweaks. That first screen shot looks familiar. ;) Great list. I have used all of these.